LONDON (Reuters) - Rolls-Royce is to cut 4,600 jobs over two years in the latest attempt by boss Warren East to reduce costs and complexity and make Britain's best known engineering company more profitable and dynamic. "Rolls-Royce is at a pivotal moment in its history," East told reporters. "We are poised to become the world leader in large aircraft engines. But we want to make the business as world class as our engineering and technology. "We are proposing the creation of a much more streamlined organisation. We have to significantly reduce the size of our corporate centre, removing complexity and duplication that makes us too slow, uncompetitive and too expensive." The news has echoes of an announcement from BT last month, another venerable company that is cutting 13,000 managerial and back-office jobs to reduce bureaucracy and respond faster to its customers' needs. East, who built the chip designer ARM Holdings from a start-up into Britain's biggest tech company, has complained that Rolls, a rival to General Electric, is too complex and cumbersome due to layers of bureaucracy above the shopfloor. In January he divided the company into three business units - Civil Aerospace, Defence and Power Systems - and the new restructuring is designed to remove management duplication between those layers and the corporate centre. 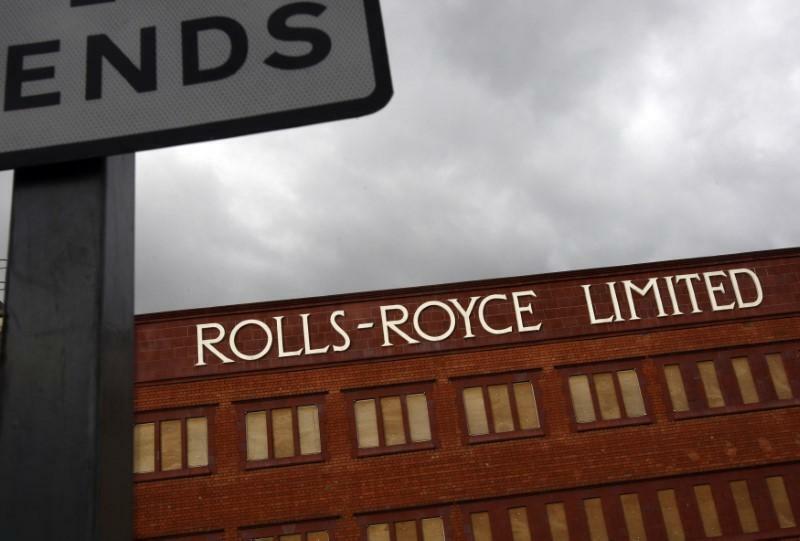 The union Unite warned: "There is a real danger that Rolls-Royce will cut too deep and too fast with these jobs cuts, which could ultimately damage the smooth running of the company and see vital skills and experience lost." "These changes will help us deliver over the mid and longer-term a level of free cash flow well beyond our near-term ambition," East said. Asked about the potential sale of the company's commercial marine business, which supplies oil and gas customers and is under review, East said he would provide shareholders with a "short update" on Friday. "In our view on first pass the headlines imply a notable underlying downgrade to current market expectations in outer-year estimates with higher than anticipated costs in the near term," Barclays analyst Phil Buller said in a note. "How much of this is driven by the growing Trent 1000 issues is unclear." The overhaul will test East's management skills however, coming against a backdrop of huge pressures on the group which has been blindsided by problems with parts of the Trent 1000 engine which powers the Boeing 787 Dreamliner jet. That programme has pushed up costs, increasing pressure on Rolls to find savings elsewhere. East said the job cuts were not linked to the engine problem. "The people that will be leaving the business have nothing whatsoever to do with solving the issues our customers are having with our engines today," East said. "I know it sounds incongruous at face value, the loss of the work force while we're dealing with these issues but they're really two separate issues altogether."